You are here: Home / Blog / gross motor skills / How Often Should PreK Students Have Movement Groups? School-based occupational and physical therapists frequently recommend and educate PreK teachers on the benefits of motor skill activities throughout the day. 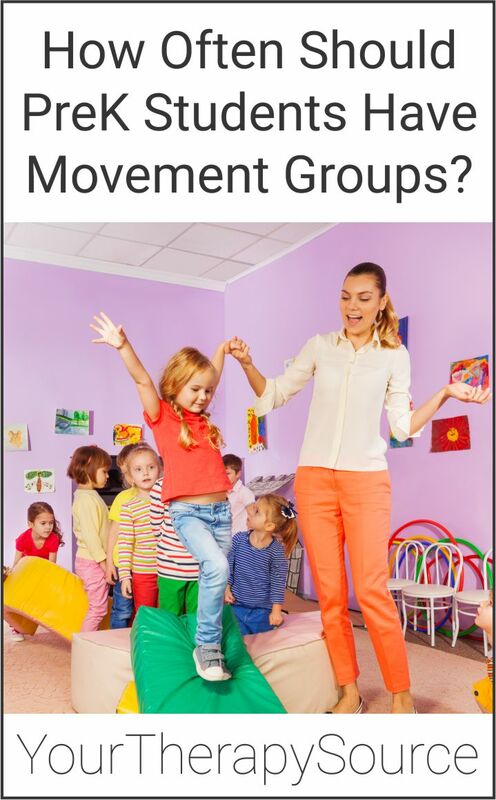 An important question to answer is how often should preK students have movement groups? A systemic research review was conducted on exploring the relationship between fundamental motor skill interventions and physical activity levels in children. Previous research has indicated that low proficiency in fundamental movement skills is associated with low physical activity for school-age children. This can have detrimental effects on a child’s health, weight, and ability to learn in the classroom. This recent study examined whether the same relationship exists in 3 to 5-year-old pre-schoolers. Eighteen articles were included following the systemic search for controlled trials with a fundamental motor skills/physical activity intervention with objective measures on physical activity and fundamental motor skills. Other variables were examined including teacher-led versus teacher educated, sessions per week and age group. significant improvements were seen in fundamental motor skills with teacher-led interventions of three or more sessions per week. there was a strong negative correlation between moderate-vigorous physical activity and sedentary behavior meaning. The researchers concluded that training pre-schoolers at least three times a week in fundamental motor skills can improve proficiency, increase the intensity of physical activity, and reduce sedentary behavior, in turn, possibly reducing childhood obesity and its associated health risks. Reference: Engel, A. C., Broderick, C. R., van Doorn, N., Hardy, L. L., & Parmenter, B. J. (2018). Exploring the Relationship Between Fundamental Motor Skill Interventions and Physical Activity Levels in Children: A Systematic Review and Meta-analysis. Sports Medicine, 1-13. Looking for movement activities for preschoolers? Check out Movement Songs. This digital download packet encourages body awareness, gross motor skills, motor planning, bilateral coordination, and rhythm. 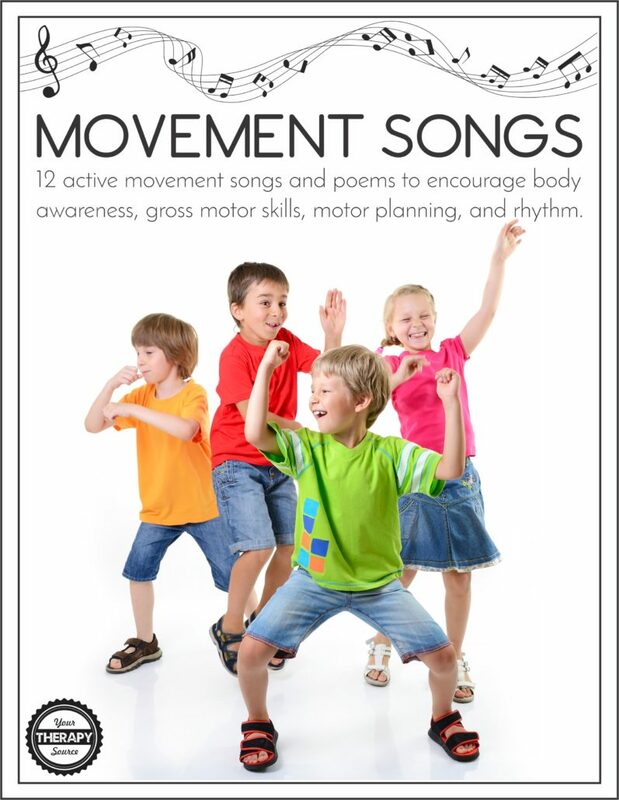 It includes 12 ready to print active songs for children to follow along with their own body actions. Each page includes photos of children performing some of the actions. The songs are sung to the tune of traditional songs such as Row, Row, Row your Boat and Twinkle, Twinkle Little Star. 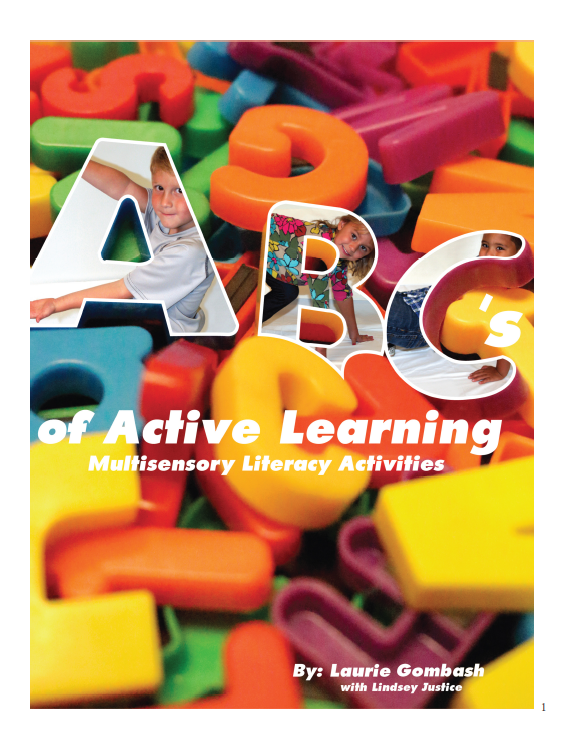 The ABC’s of Active Learning – Exploring educational concepts through movement and multiple senses give children opportunities to learn in ways they understand. The alphabet activities from A to Z are a collection of activities that can be used with children of all abilities. View more sensory motor activities here.